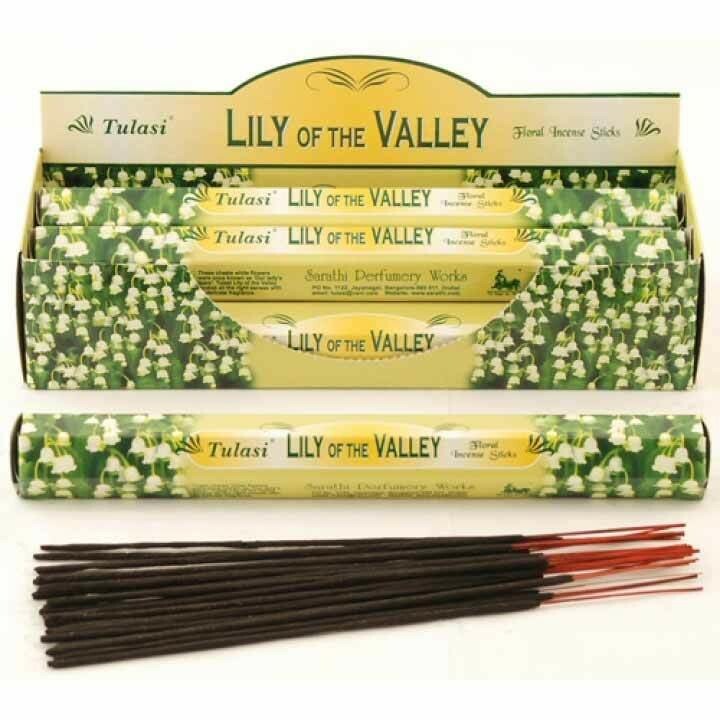 Enhance the atmosphere of any home with these Tulasi Lily of The Valley Incense Sticks. Tulasi Incense Sticks are well known for having a good defined fragrance. Fill your home with the chaste scent of Lily of The Valley for a warm and peaceful atmosphere. This delicate aroma leaves your sense lightly refreshed and in relaxed calm.